❓ Do you want to lie on your bed and play with your computer? ❓ When you get up and feel pain, there is a lot of work to do? ✔ This folding computer desk could help you to make it come true. 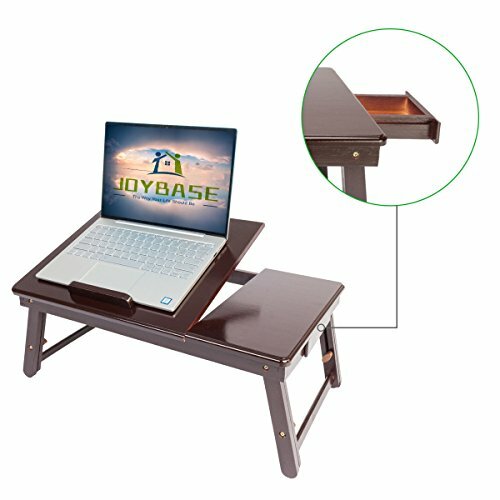 ★ The adjustable height of this computer desk is (7.87-11.81) inches, so you can adjust to the height you like. It also has a cup stand to fix the cup. Besides, it has a thermovent, which is useful for computer's thermal dissipation. Sold Exclusively by JOYBASE. Beware of cheap imitations.